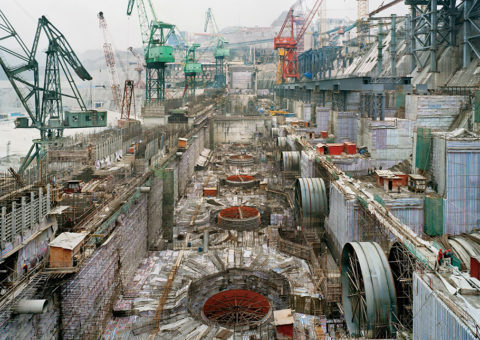 The Changjiang Sanxia Project literally translated is the Three Gorges of the Yangtze River. 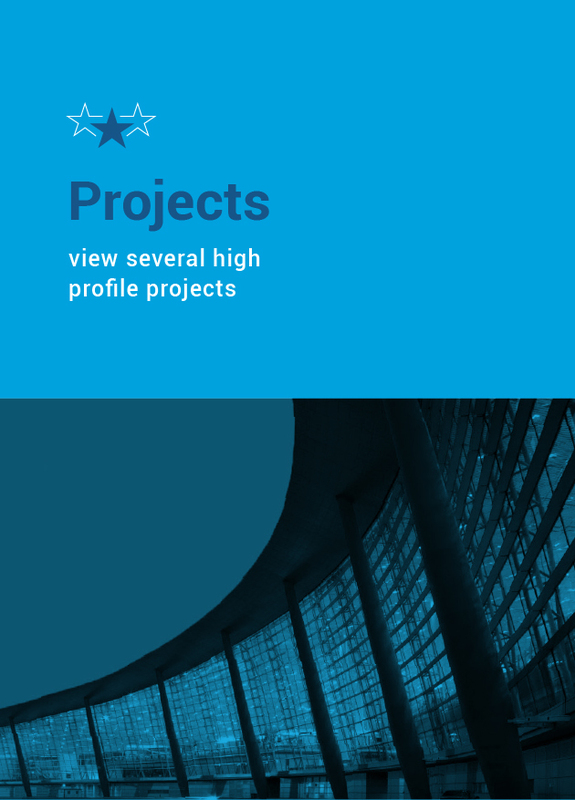 This project consists of 3 separate major projects, the ship locks (Navigation System), the Three Gorges Dam and two Hydro Electric Power stations, one on each side of the Yangtze River. 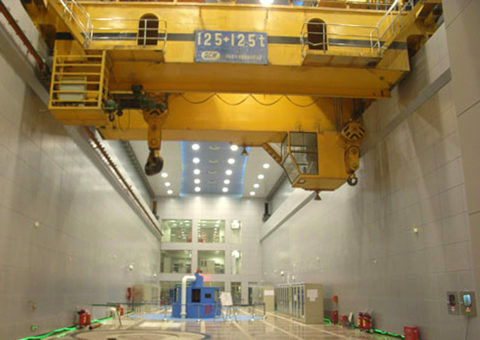 The main Power Station consists of 26 sets of generators (each with a rated output of 700,000 KW) is considered the most ambitious and largest Hydro Electric Power Station in the world. 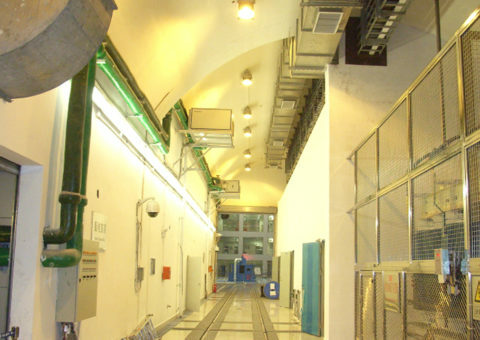 The Power Stations are an enormous undertaking made up of miles of drainage, ventilation and vehicular traffic tunnels as well as numerous Gate Rooms, Control Rooms, Maintenance Shops and Storage areas. 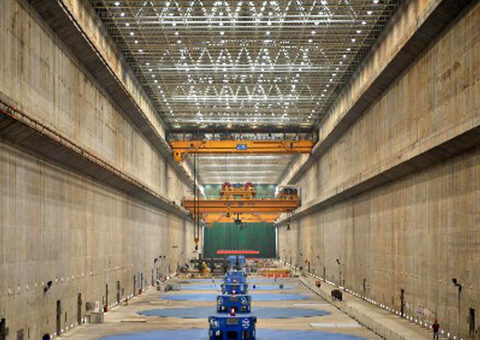 CN2000® has been chosen as the Waterproofing product for these two enormous Power Station Projects to ensure the safety and durability of this important infrastructure and its delicate electronics, electrical systems and equipment throughout the system. 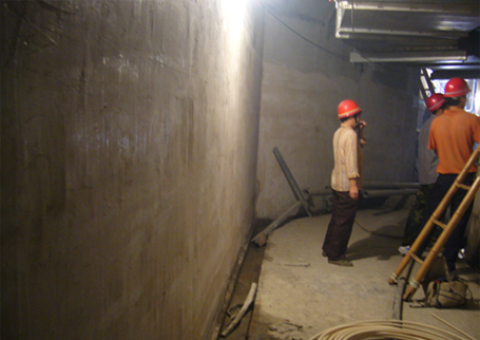 The developers of this world class multi-billion dollar project are assured that this important infrastructure will remain in good repair through and beyond its designed lifespan by utilizing CN2000® products as its main waterproofing choice. 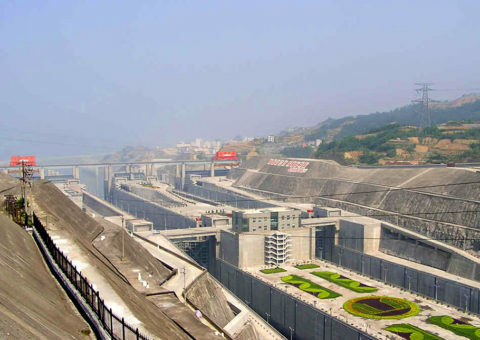 CN2000® Waterproof chosen as the supplier of complete waterproofing of vital areas of Three Gorges Hydro Electric Facilities has achieved eminent status worldwide in the field of concrete waterproofing. 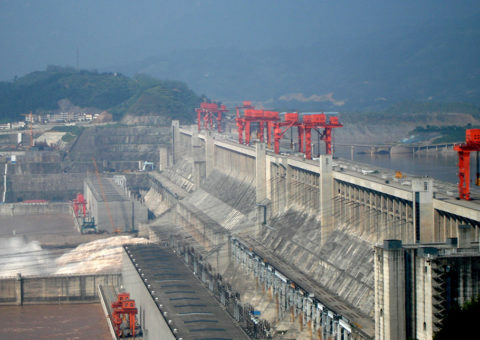 The Three Gorges Hydro Electric project, the largest of its kind worldwide, has infrastructures that are designed with a lifespan that can be measured in centuries as opposed to others of its kind that are measured in decades. 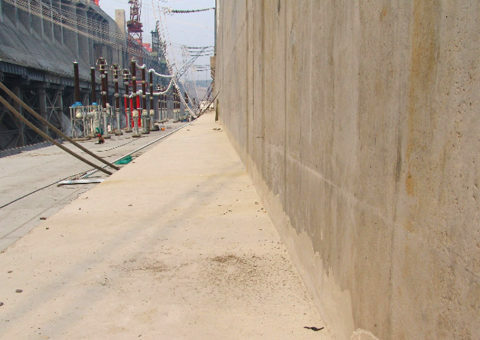 Flood Control: normal pool level will give a flood control capacity of 22.15 billion cubic meters, which will be sufficient to control the greatest flood experienced in the past 100 years. 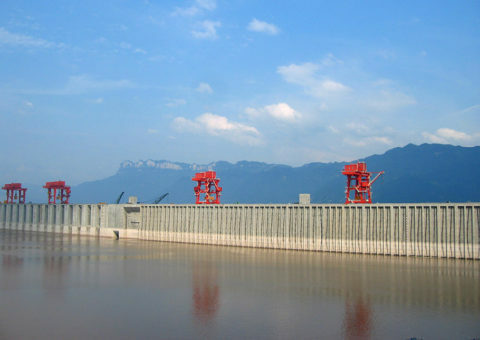 With the flood diversion structure, the dam will protect 1,533,333 hectares of farmland, the lives of 15 million people and property downriver of the Changjiang. 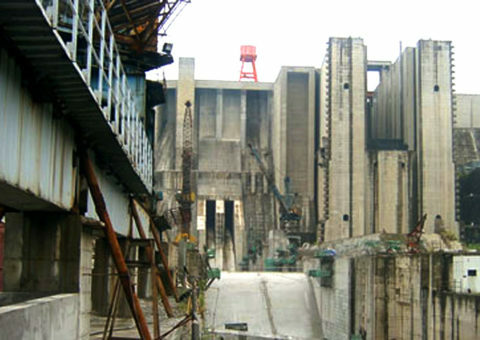 Power generation: The anticipated annual electricity generation is 84.6 billion kilowatt hours. It will be the number one in the world and play an important role in the development of the economy and reduction of pollution. Navigation: the 600km long waterway from Yichang to Chongqing will be improved, making it possible for 10,000 tons of shipping to sail directly upstream to Chongqing. The river transport will be improved from 10 million to 50 million tons per year and the costs reduced by 35-37 percent. Tourism: As the largest water conservancy in the world combined with the world-renowned natural beauty the Three Gorges will become a hot tourist attraction. 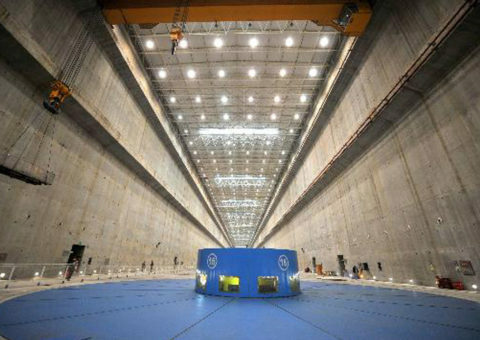 The China Three Gorges Dam Project Corporation built the Tanziling to enable visitors to see the panorama of Three Gorges from the highest point of the building site. 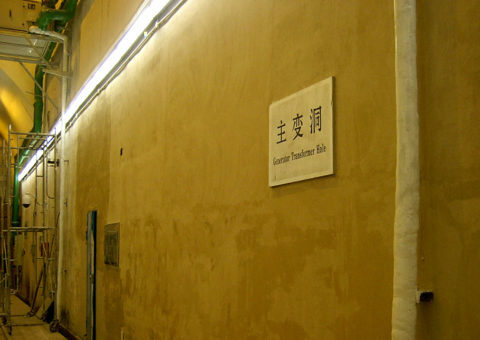 The exhibition house and environmental garden are located in the dam area, which includes the natural scenic spot Maogongshan and the old architecture Huangling Temple. 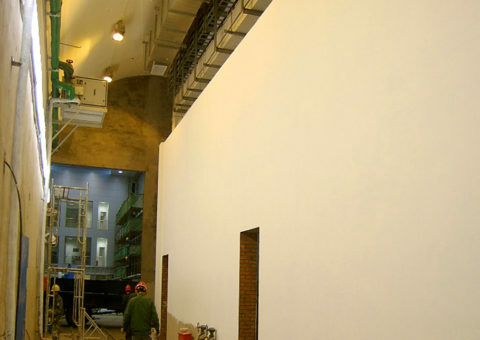 Combined, these highlight the beauty of science and culture while showing the value of the Three Gorges Dam Project in China’s water Conservancy effort. The river will flow through the diversion channel and shipping will use the diversion channel or the temporary ship lock.